Soulsforfreedom.org is a platform that connects people, organizations and companies to inspire true change and true freedom. Together, we share a mission and a vision, everybody in our own way. We want to contribute to a truly free world for everybody on our planet from a world or spiritual perspective or a combination of it. Social life is our motto in building a world of harmony, between people and between people and our natural environment. We all strive for a society based on completely different standards and values in which self-development coincides with care for others. Where wellbeing counts instead of material richness. Where togetherness replaces separation. Where being your best self is your personal goal and not being the best. All of us want to contribute to the evolution and perfection of true freedom. On our way to a sincere, inclusive and connected world. 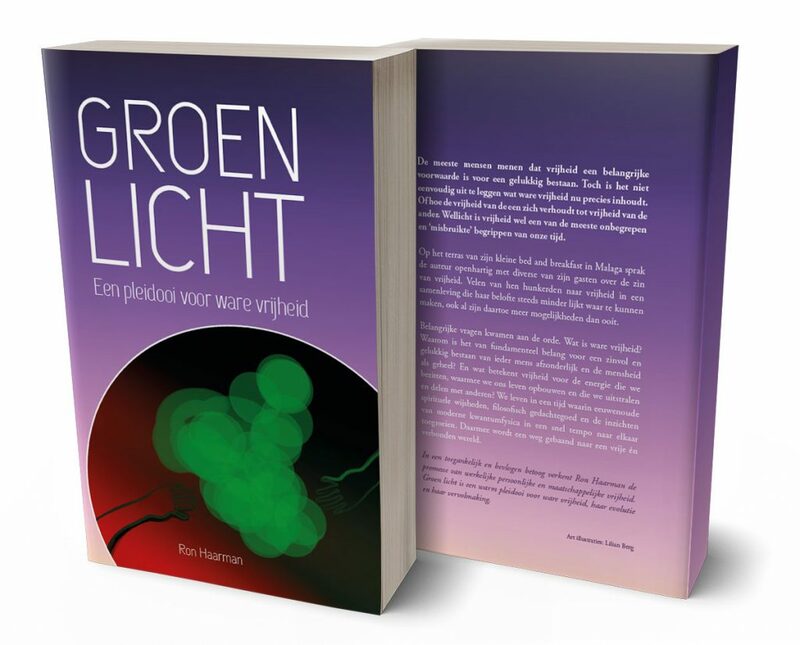 You can order the book Green Light here (PDF version €7.95 and print €17.95) *So far only in Dutch. 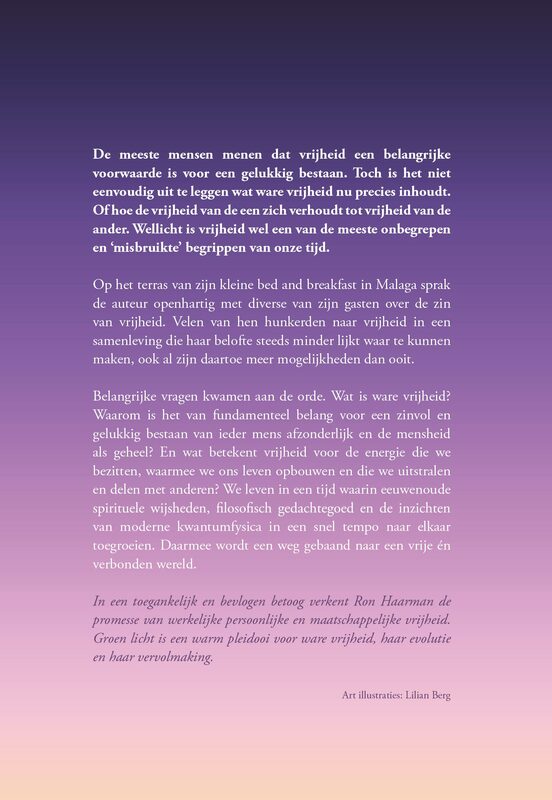 Click on the image below for a book preview. You can order the book "Green Light" a plea for true freedom. All revenues from the book will be allocated to the English and Spanish versions and the platform. You can keep track of the progress of soulsforfreedom.org by following us on social media. You can share our posts on social media. You are more than welcome to share every thought, vision, inspiration and energy that contributes to the evolution of freedom and to the dialogue. Soulsforfreedom.org is the initiative of Ron Haarman, author of the book, Green Light, A plea for true freedom. Green Light is a practical philosophical book about true freedom and its importance for lasting happiness for every individual and mankind as a whole. It is the compass with which the writer and initiator of soulsforfreedom.org keeps track of his own contribution to the evolution of freedom. Without wishing to convince anyone or force upon the reader his philosophical view on the world of tomorrow. But only written to inspire others and be inspired by others. Soulsforfreedom.org is primarily intended as a practical platform for the exchange of thoughts, concepts and initiatives in the personal, political and economic arena. After the publication of the book in three languages (Dutch, English and Spanish), the internet platform will be built where innovators can present themselves, get to know each other and interact with each other. The internet platform will also include a blog and a video channel in addition to the website and social media. In addition to digital encounters, events will also be organized such as conferences, seminars, workshops and courses to inspire actual change and freedom.